An question often asked of lawyers specializing in personal injuries is whether or not a case can be reopened. The short answer is “no,” and we’ll talk about the reasons why in this issue. 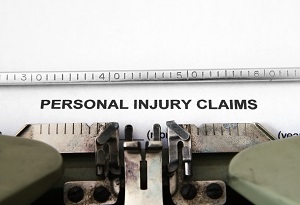 Why can’t a personal injury lawsuit be reopened? The overriding rule to remember is that if you file a personal injury lawsuit and receive some form of compensation either through a settlement or jury-awarded process, that translates into a full and final closing of the lawsuit. That’s the case even if new injury-related symptoms arise later on. In a typical case, part of the process of accepting a settlement or jury award is the signing of a release form. Most release forms will include language along the lines of you “…releasing the defendant of any future claims” as they relate to your case. What are my options with my personal injury case? Your best option is to make sure the case is handled the correct way from the start. That means partnering with a lawyer skilled in personal injury cases as soon as possible. Even if you’re already in the process of a case without legal representation and haven’t signed any type of agreement yet, you still have time to have a professional lawyer by your side. Even if you have a lawyer who is looking out for your best interests, you still need to make sure you don’t miss out on your window of opportunity. That’s because each state has a statute of limitations that apply to personal injury claims. Here in Alaska, for example, you have two (2) years from the day of the incident or the day that your injuries are discovered to file your claim. Even if it’s likely that you’d receive significant compensation for your injury, if you wait even a day or so late beyond that two-year statute, your case can easily be dismissed. If you’ve suffered a personal injury in Alaska, call Barber & Associates. Your best bet for prevailing in the courtroom and receiving the compensation you deserve is to partner with the skilled personal injury lawyers here at Barber & Associates. We’ll examine every aspect of your situation, and design a specific strategy geared towards winning in court.